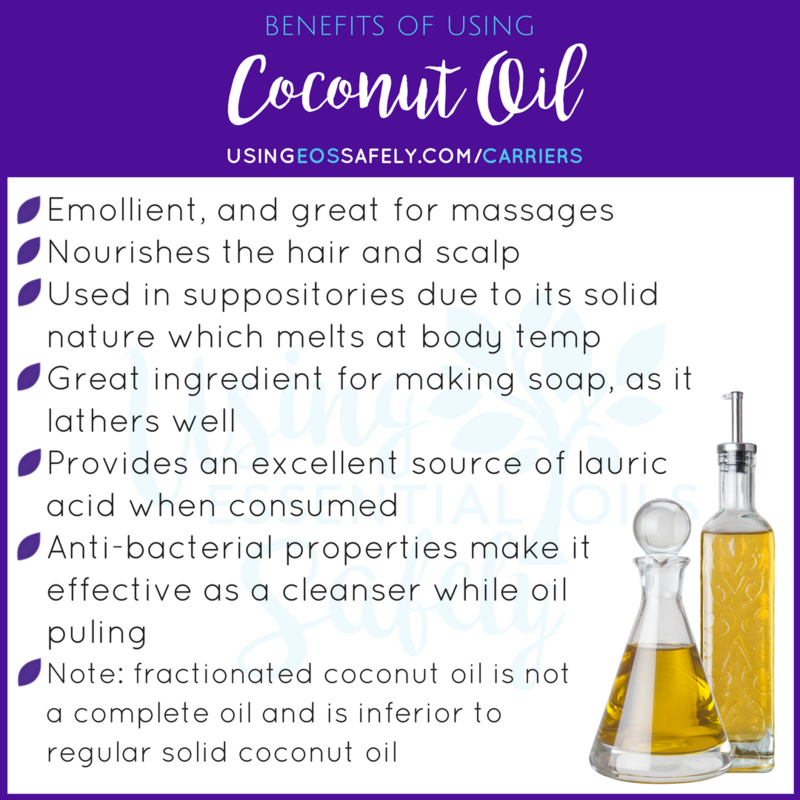 If you've been learning about the advantages of properly diluting essential oils, and now you want to know what to dilute them in, this post is for you! 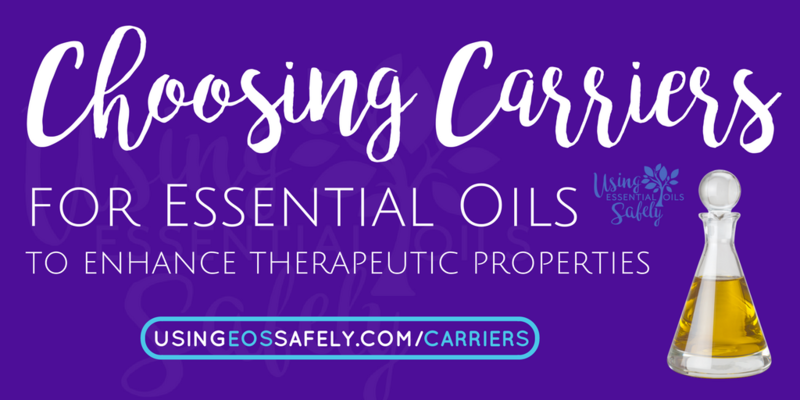 Choosing a carrier to use with essential oils is more than a matter of personal preference. 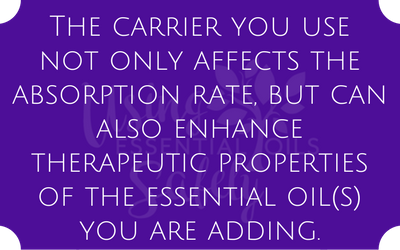 The carrier you use not only affects the absorption rate, but can also enhance therapeutic properties of the essential oil(s) you are adding to the carrier. 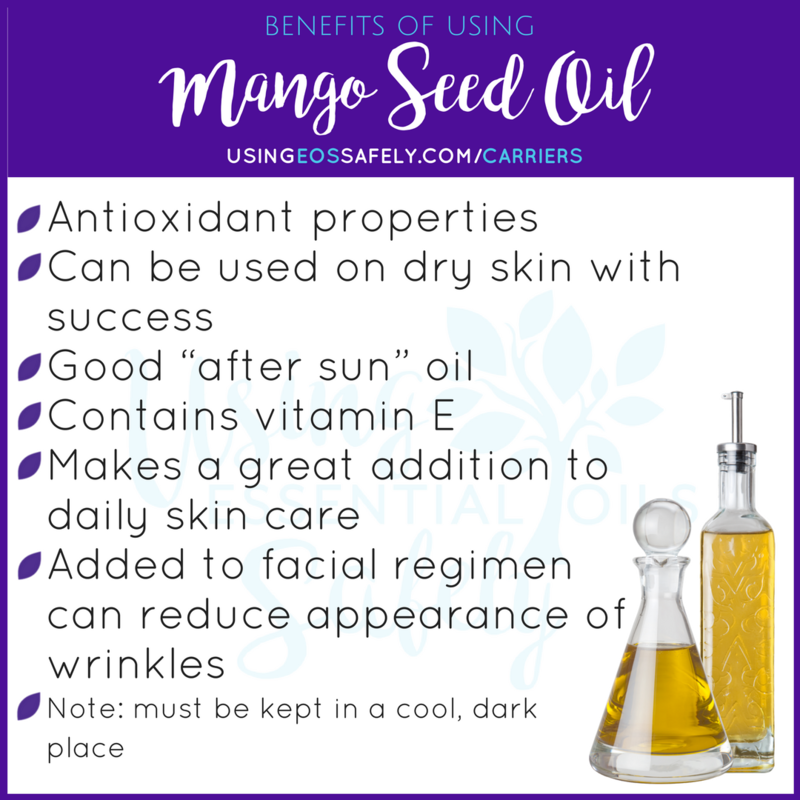 Keep in mind that the maximum amount of an essential oil's constituents absorbed into the skin can be as much as 10% (source: Essential Oil Safety, by Tisserand & Young). This varies on a number of issues beyond the scope of this post. 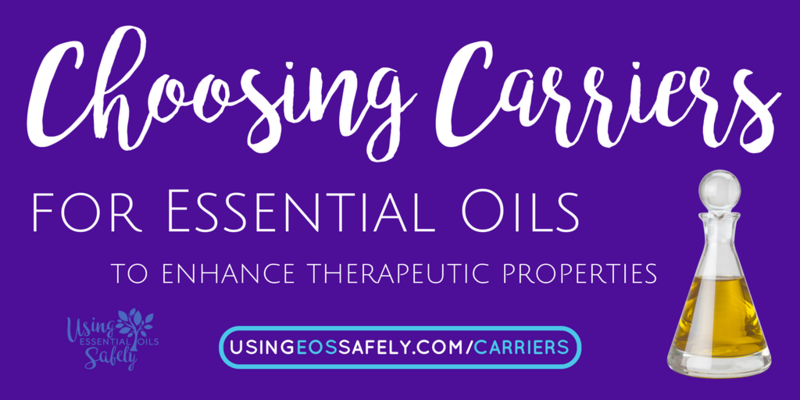 Essential oils usually have a shelf life of a year or more, depending on the essential oil. Carriers, however, generally have a shelf life of less than one year. 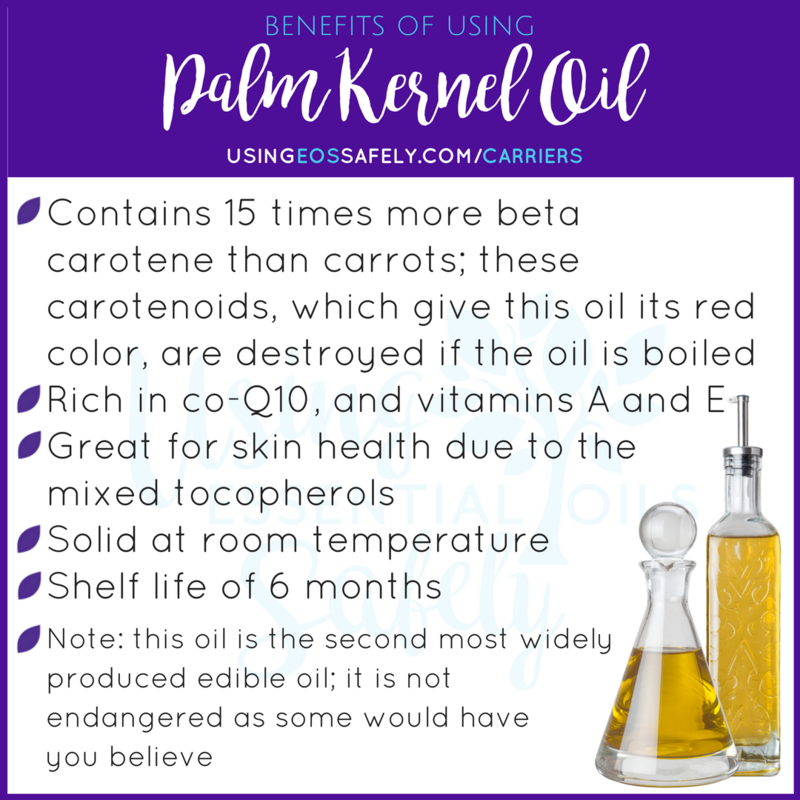 It is recommended that you make small batches of blends to avoid being left with a blend in a bottle that has gone bad due to the carrier expiring. 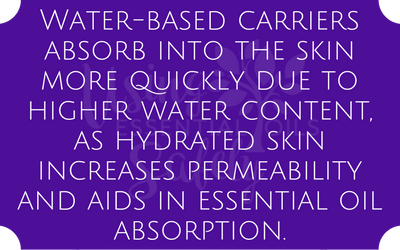 Water-based carriers absorb into the skin more quickly due to higher water content, as hydrated skin increases permeability and aids in essential oil absorption. If you need fast absorption, such as for acute pain, water-based carriers are what you want. These are also good options for situations where oil may aggravate the issue. My three favorite water-based carriers are aloe vera gel, witch hazel, and lotion. Tip for choosing aloe vera: Look for aloe vera produced without heat from organically grown aloe vera plants. Avoid synthetic or petroleum-based gel with aloe vera added. You might be able to find a good one in your local health food store. Lily of the Valley aloe vera gel (which is very watery) can be found locally or on amazon. My favorite thick gel is the Aloe Life Skin Gel with Herbs, which I get on amazon. Note: when adding essential oils to aloe vera, you must shakeshakeshake before using on the skin, as essential oils and aloe vera don't mix like a true oil. Tip for choosing witch hazel: Be sure the witch hazel you are getting contains considerably more water than alcohol. Yes, alcohol must be contained in this product, as it is water-based, to preserve the witch hazel. One of my favorites is TN Dickenson's Witch Hazel. I've seen in Wal*Mart as well as on amazon, and only contains 14% alcohol. 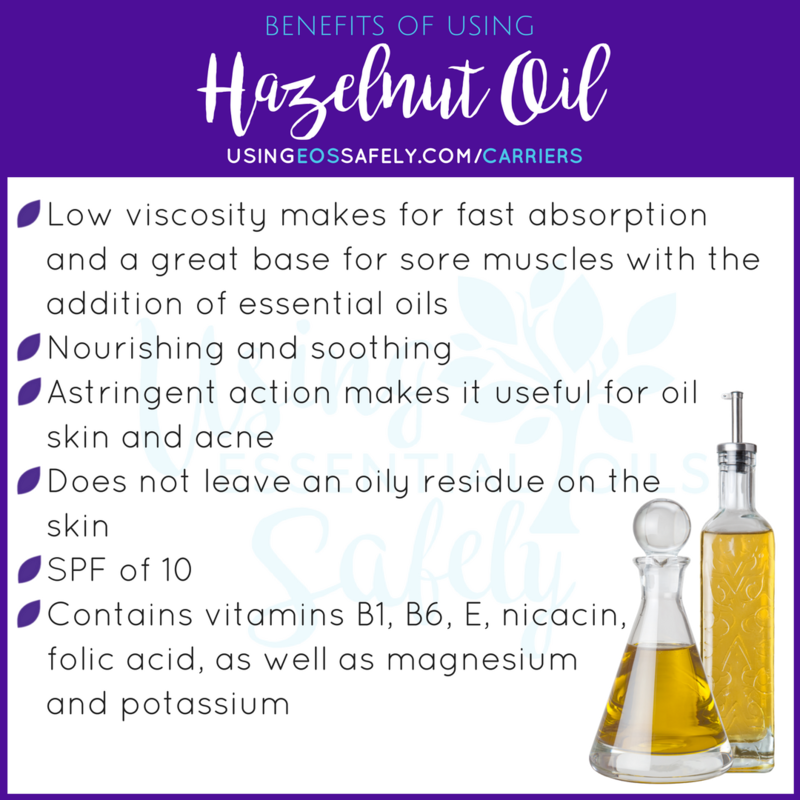 Note: when adding essential oils to witch hazel, you must shakeshakeshake before using on the skin, as essential oils and witch hazel don't mix like a true oil. Tip for choosing lotion: Look for a lotion free from synthetic preservatives, chemicals, and artificial fragrances. The best way to do this is to make your own. I haven't found the time to begin making my own lotion yet, but if you're looking for a recipe, you can find one in this book: DIY Organic Beauty Recipes. I purchase my unscented lotion from Tropical Traditions, as the lotion is made from organic ingredients. Aloe vera or lotion is a good carrier choice for issues where the skin needs to breathe, such as nail fungus. 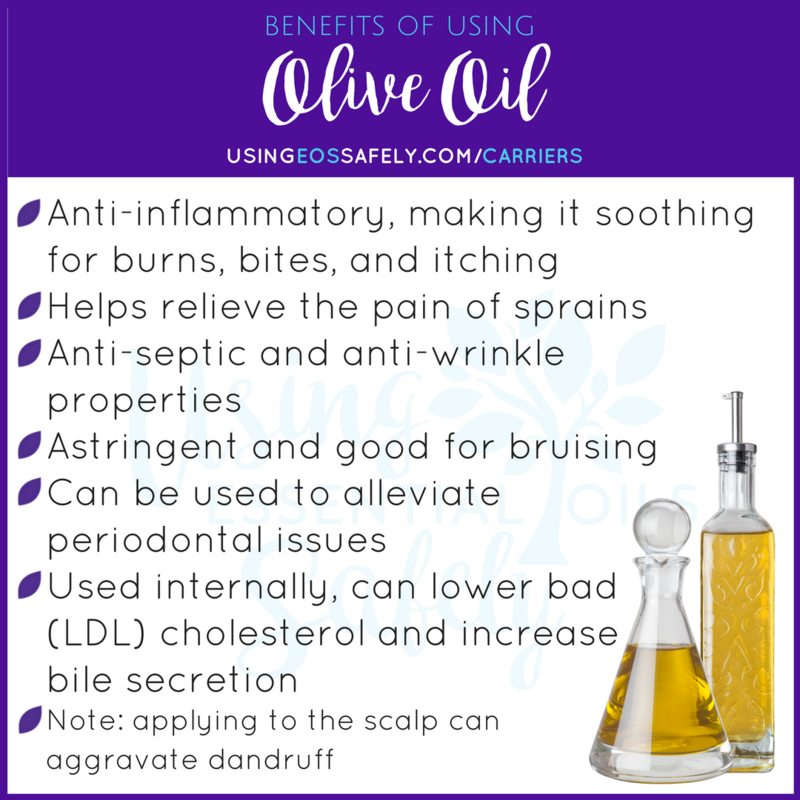 Burns can also benefit from using aloe vera as a carrier instead of an oil. Itchy skin can benefit from using witch hazel as a base, as can acne-prone skin due to the witch hazel's astringent properties. Water and (essential) oil doesn't mix. We learned this in school. 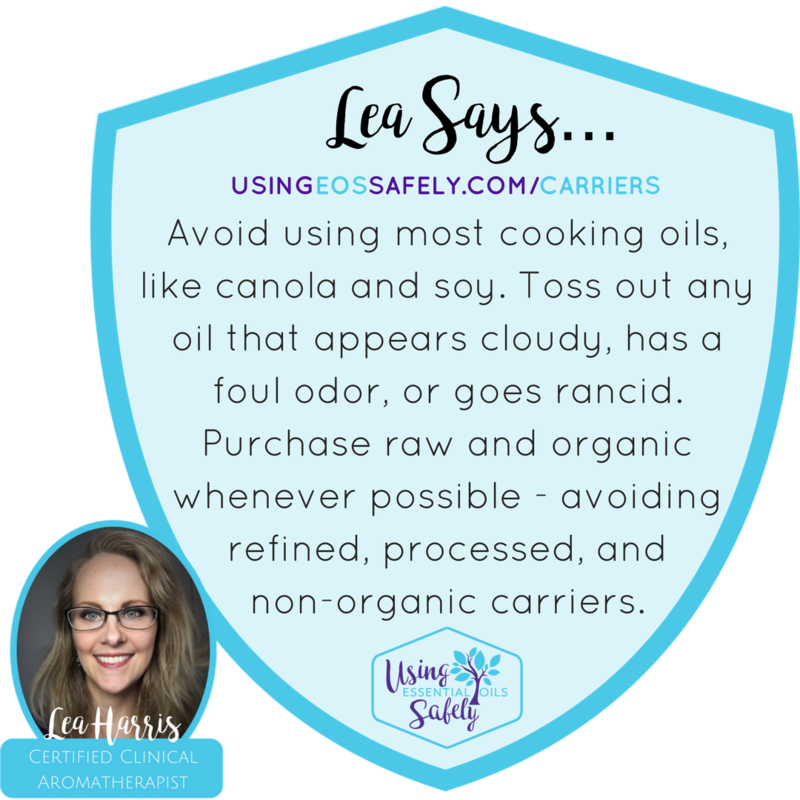 So we generally want to avoid adding essential oils to water, where they will float on the surface of the water, touching the skin at full concentration. An exception would be making a throat spray to soothe soreness or help alleviate tonsillitis. If you do this, be sure to shakeshakeshake well before spraying, to ensure the essential oils have mixed as best as possible into the water before spraying. 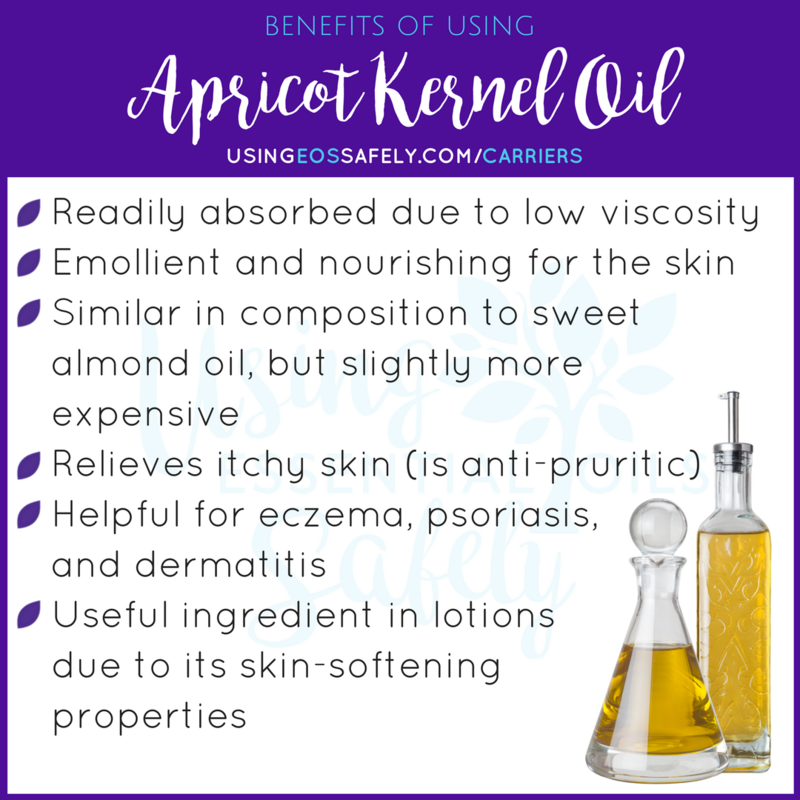 Pure essential oils directly on the skin can cause irritation and redness. You can, of course, add essential oils to water when making a linen spray or cleaning sprays. 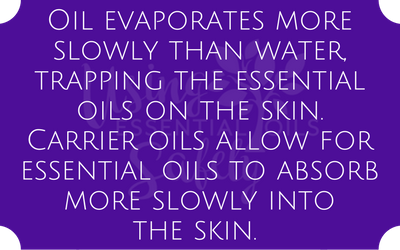 Oil evaporates more slowly than water, trapping the essential oils on the skin. 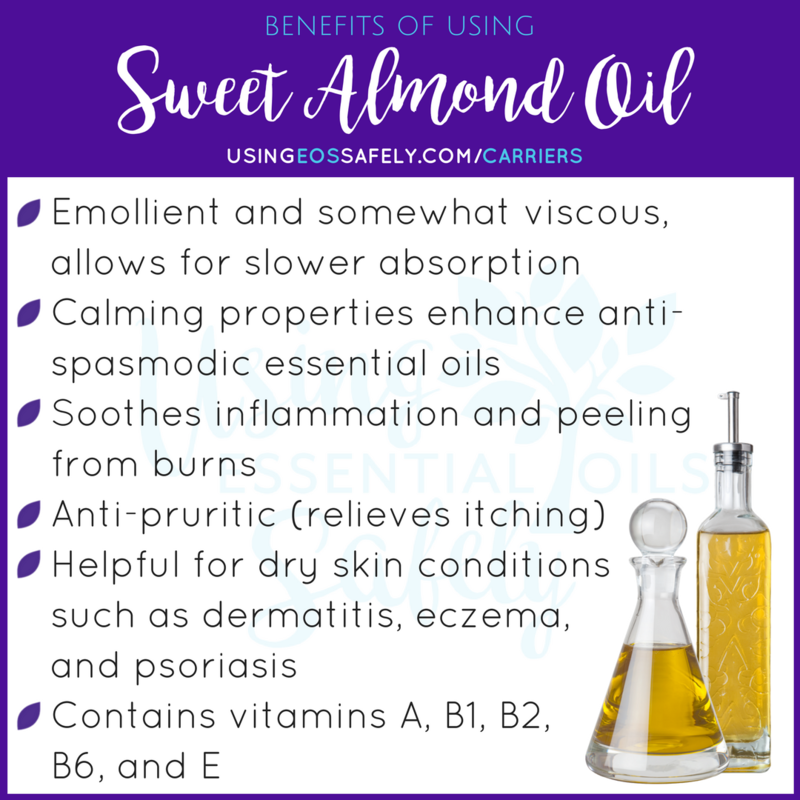 Carrier oils (such as almond, coconut, jojoba, and tamanu to name a few) allow for essential oils to absorb more slowly into the skin. Although relief might take a little time, the effect will linger longer. This allows for therapeutic effects of the essential oils to work for a greater length of time. When you want the very longest staying power, look to butters. Butters are thick and prevent the essential oils from evaporating so quickly. 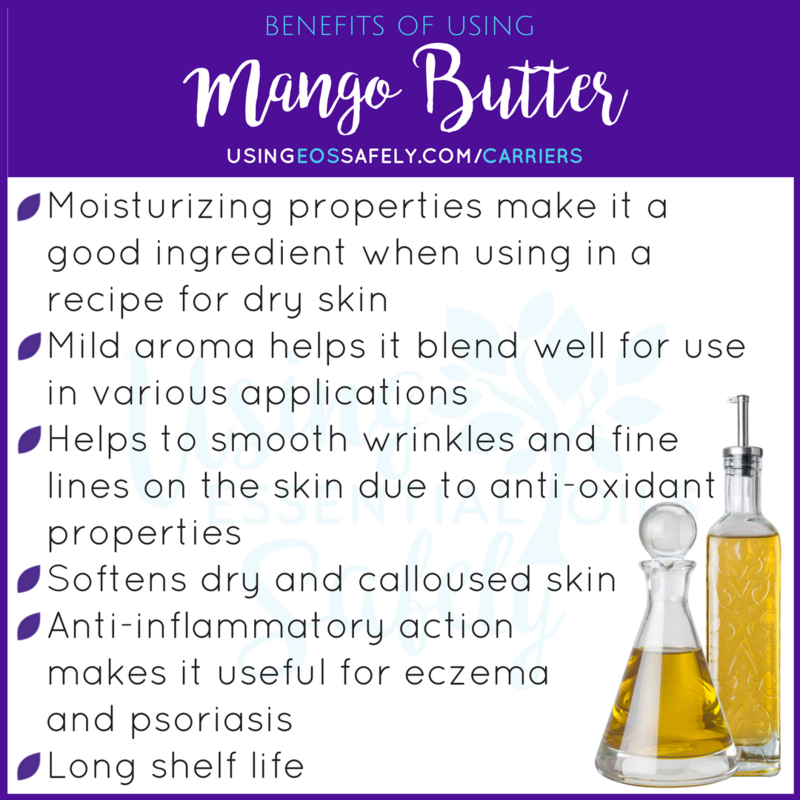 Shea butter, cocoa butter, mango butter, and kombo butter are my top choices for carrier butters. 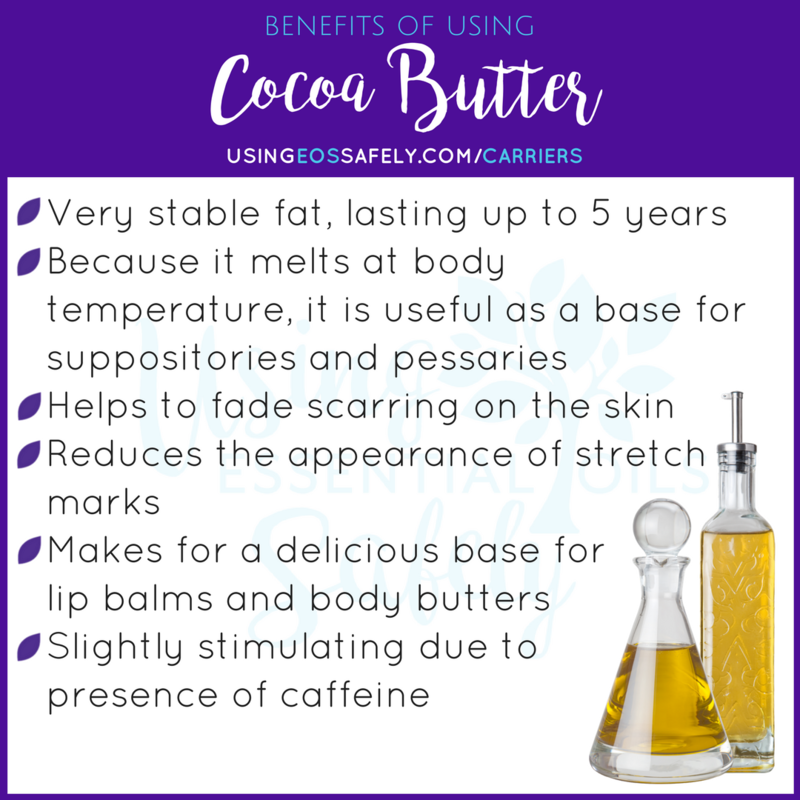 Although kombo butter can be used on its own, as it is a more liquid consistency, shea, mango, and cocoa butters are solid and work best as an added ingredient when making body butter or a salve. 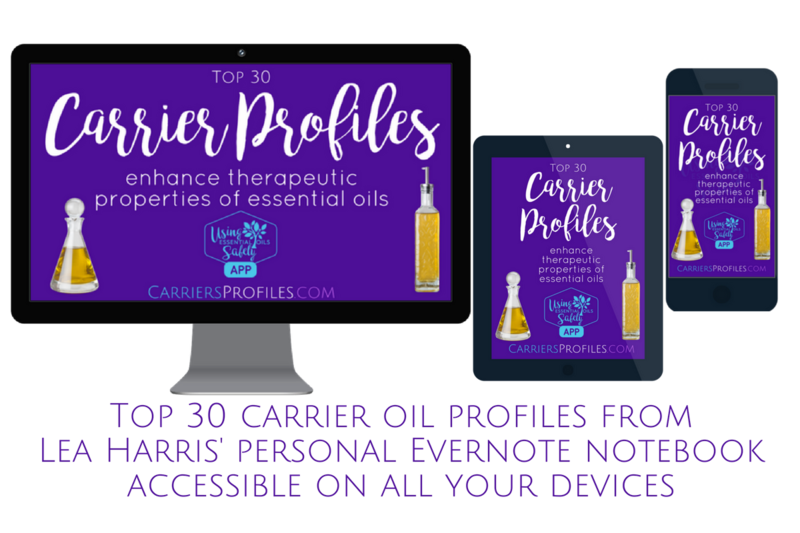 There are a number of useful carrier oils with a wide range of therapeutic benefits on their own. 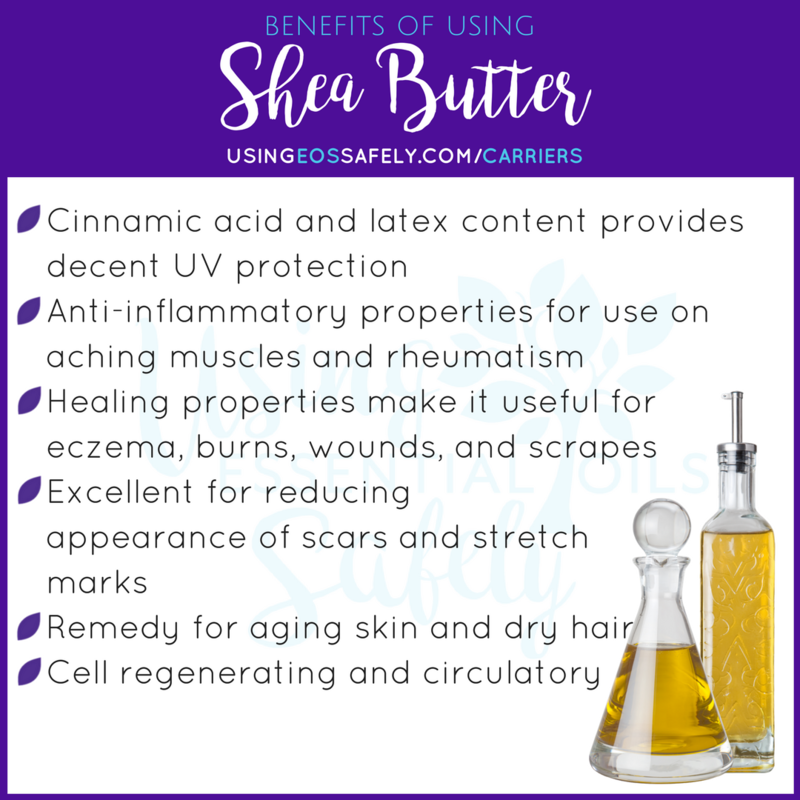 I purchase mine from various reputable sources including Aura Cacia brand on amazon. I recommend this organic sweet almond oil. 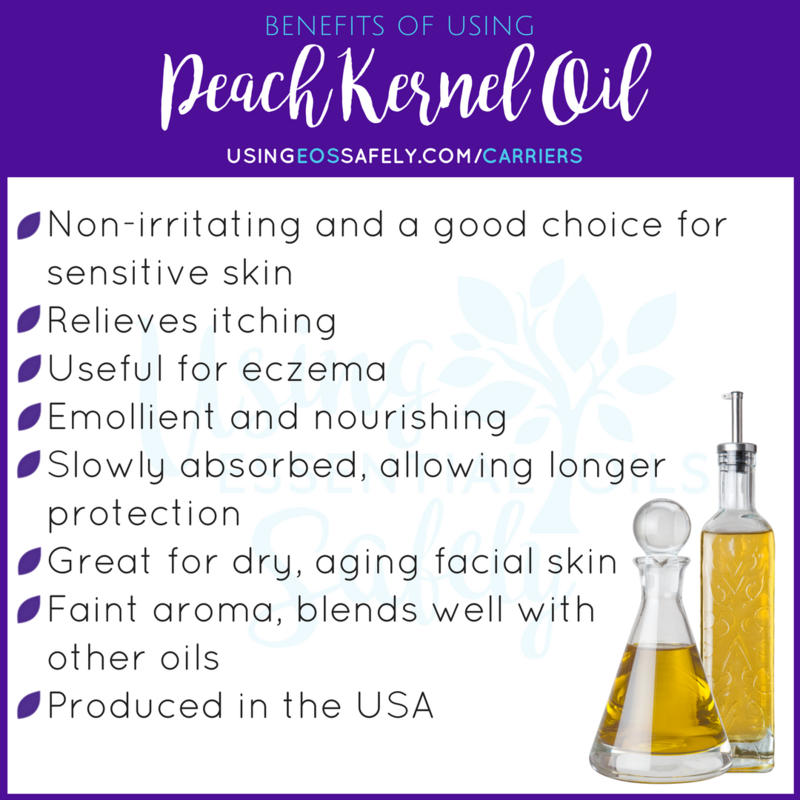 I recommend this apricot kernel oil. 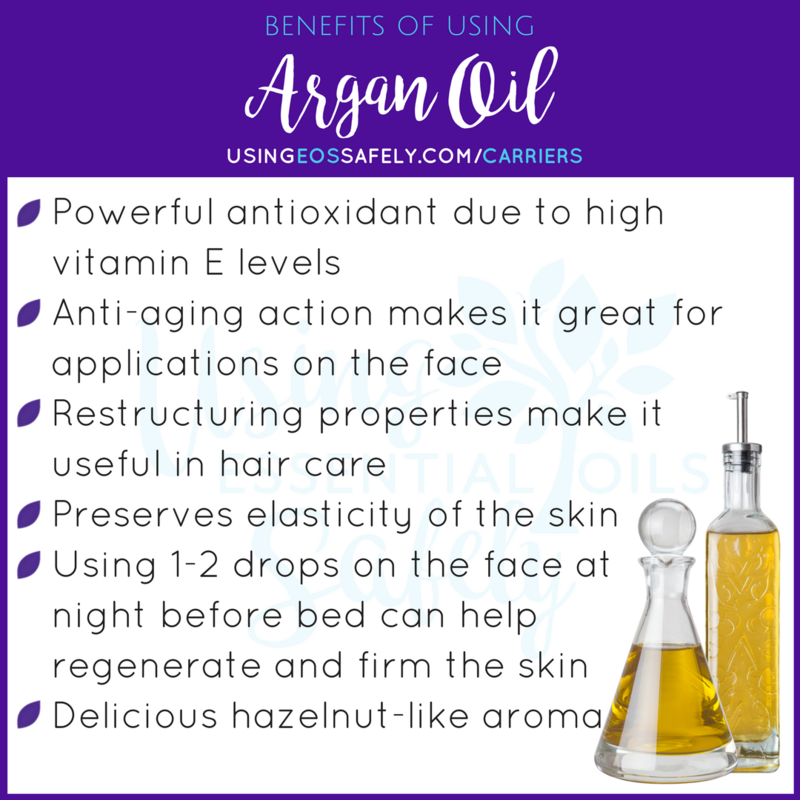 I recommend this organic argan oil. 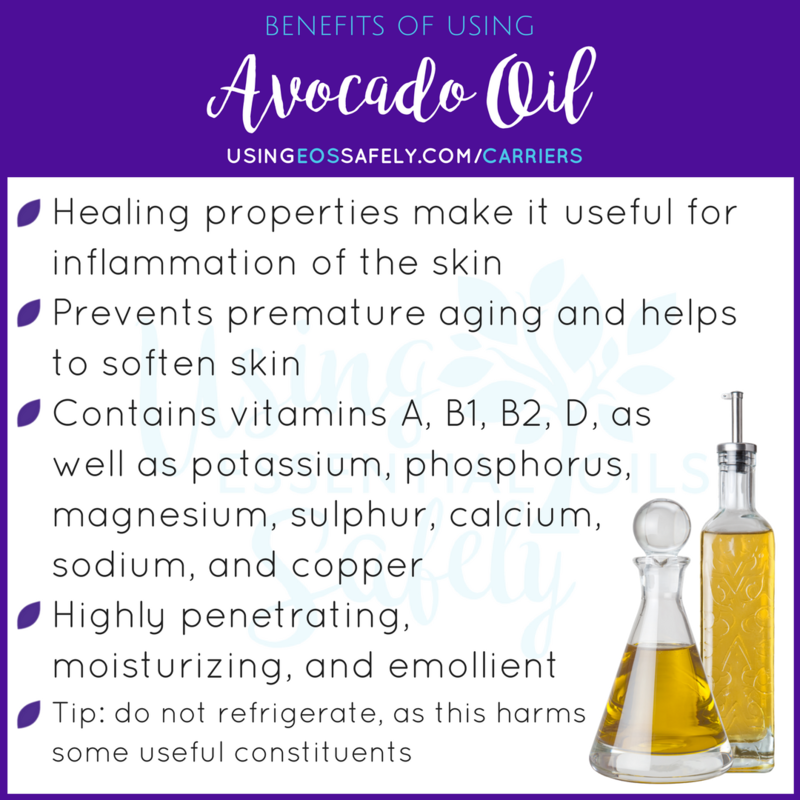 I recommend this avocado oil. 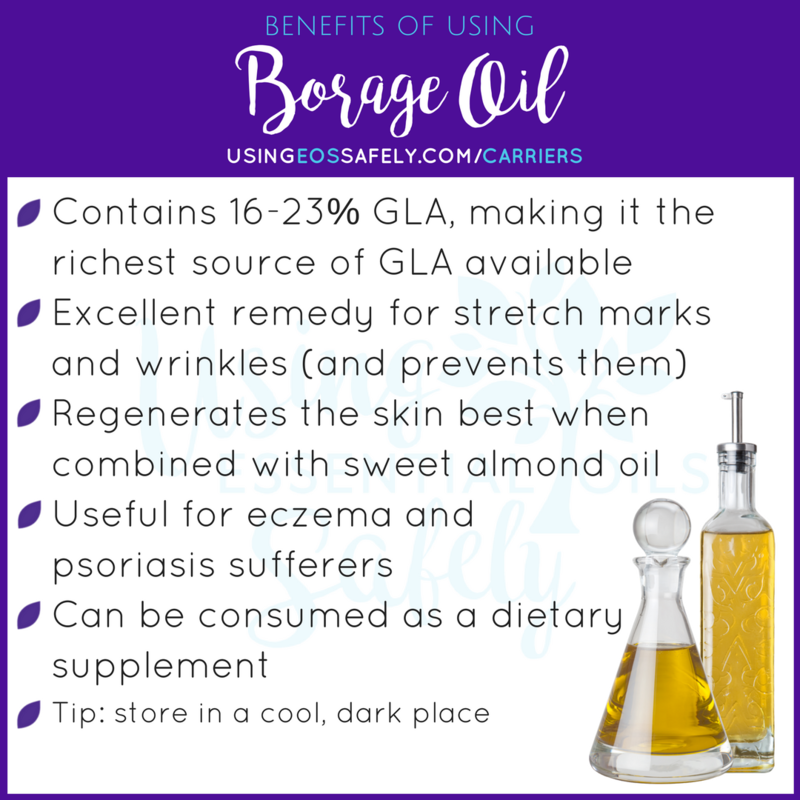 I recommend this cold-pressed, unrefined, organic borage oil. 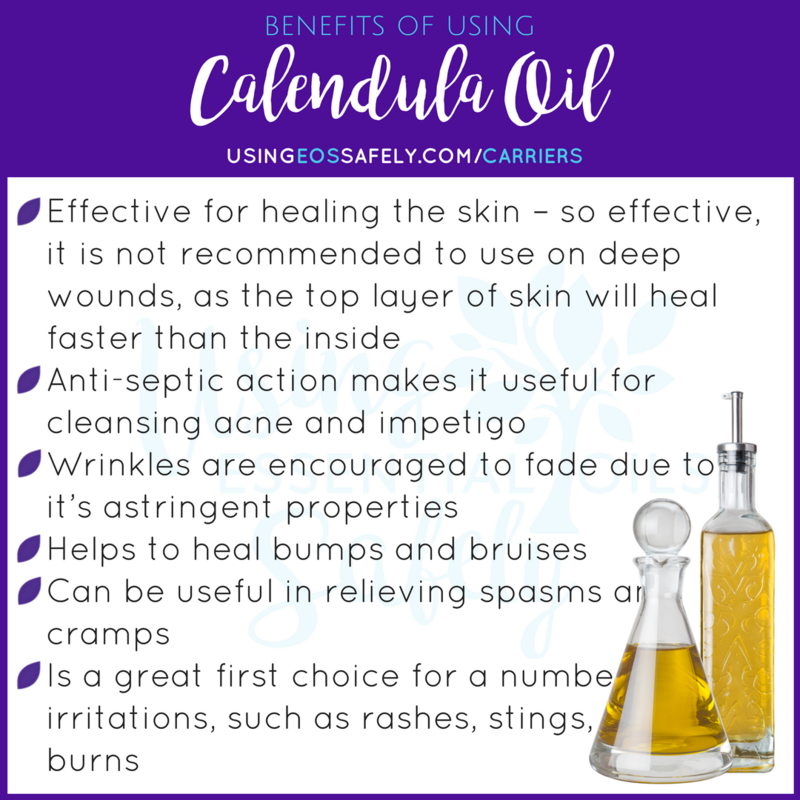 I recommend this organic calendula oil. I recommend this raw, unrefined, food grade cocoa butter. I recommend this cold-pressed, unrefined, organic coconut oil. 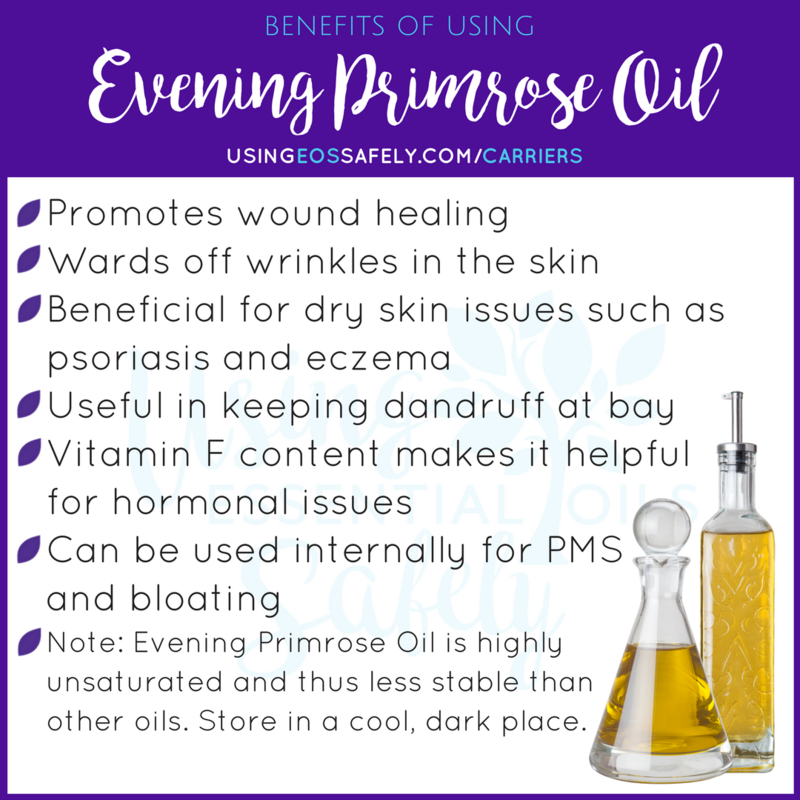 Note: Evening Primrose Oil is highly unsaturated and thus less stable than other oils. Store in a cool, dark place. I recommend this evening primrose oil supplement. 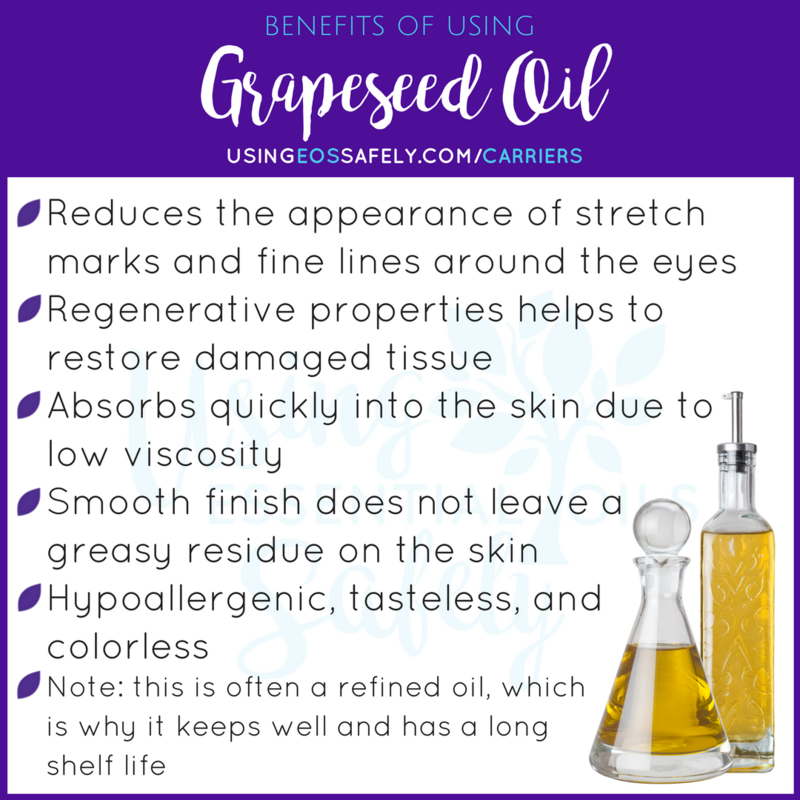 I recommend this grapeseed oil. I recommend this hazelnut oil. I recommend this organic jojoba oil. Shown to reduce bad (LDL) cholesterol levels when used internally. 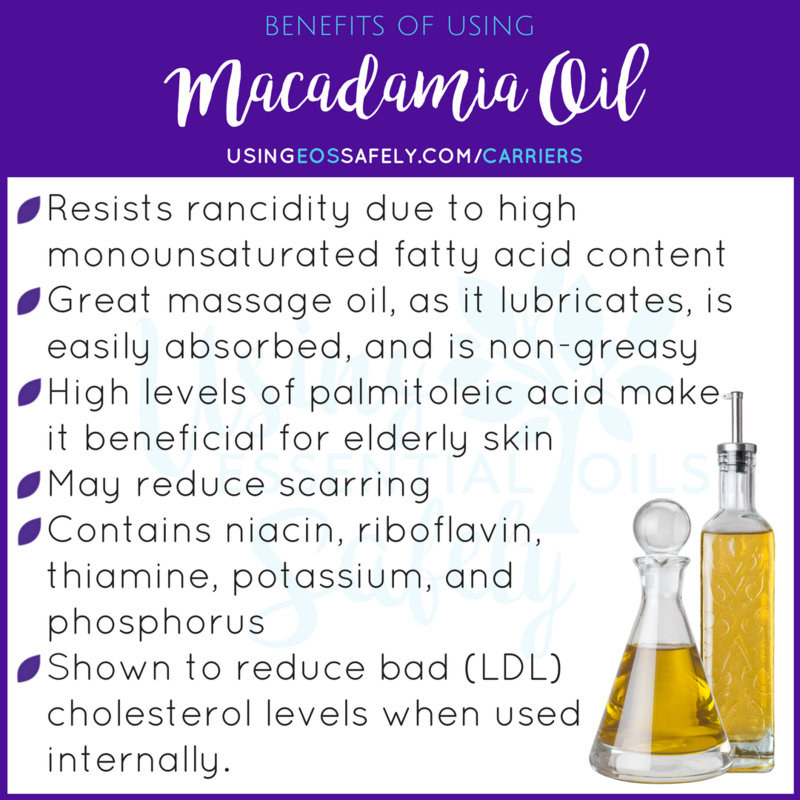 I recommend this organic macadamia oil. I recommend this raw, organic mango butter. 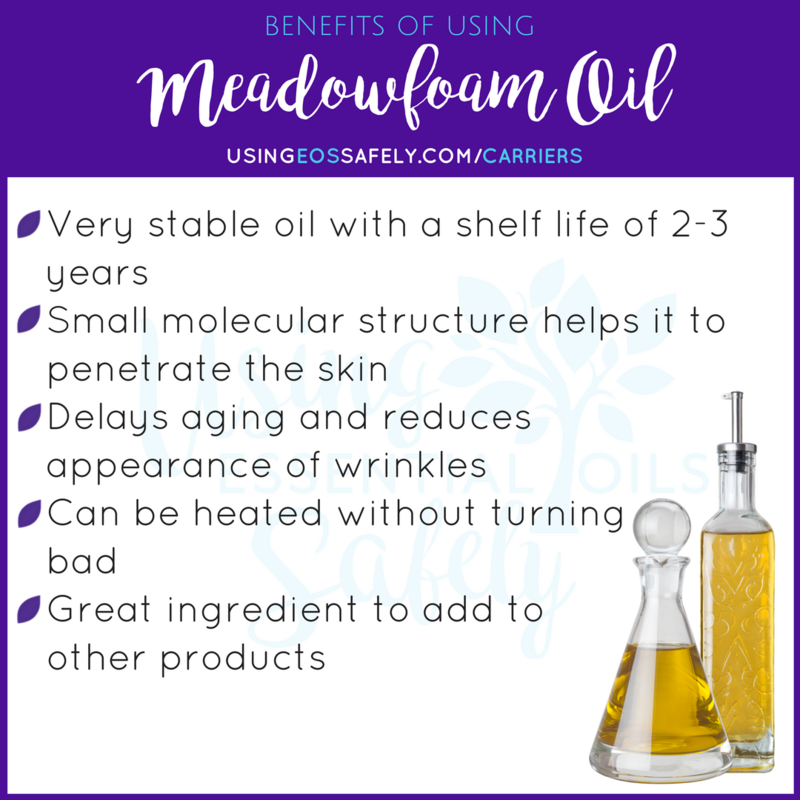 I recommend this meadowfoam oil. I recommend this unrefined, cold pressed, organic, extra virgin olive oil. I recommend this high quality virgin palm oil. 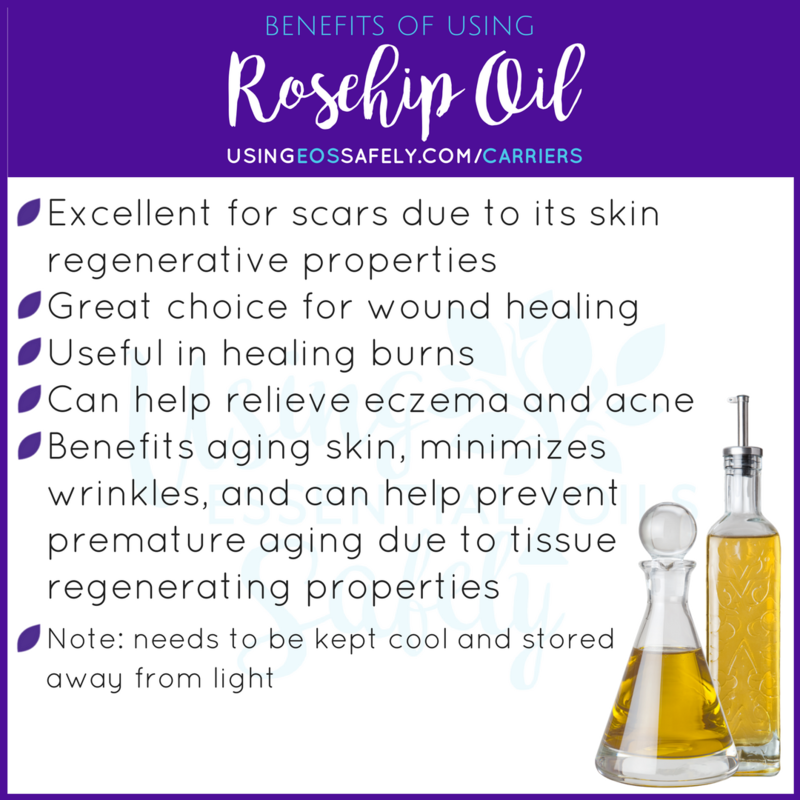 I recommend this organic rosehip seed oil. 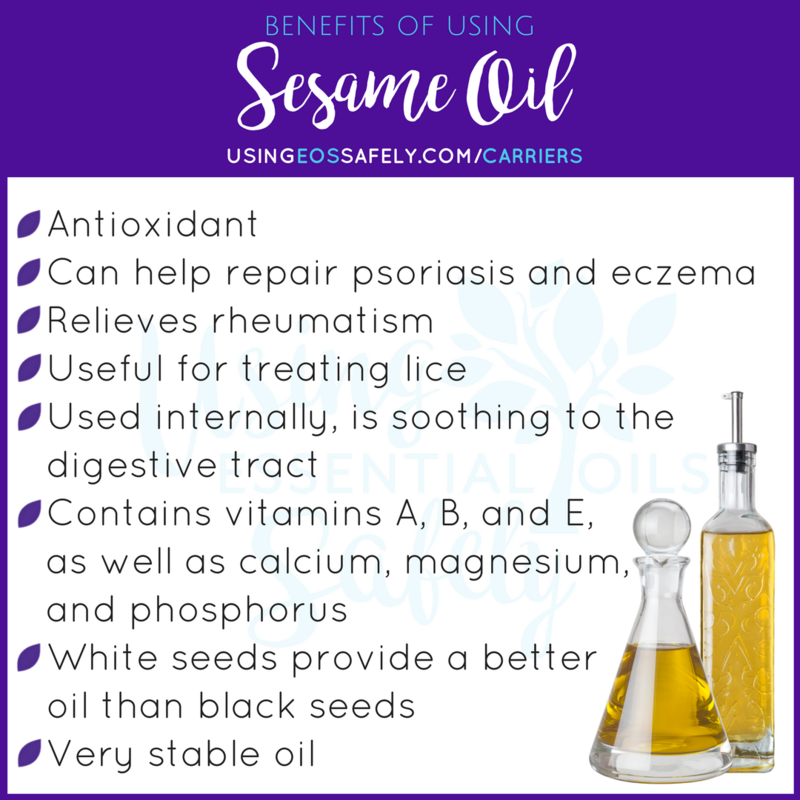 I recommend this organic sesame oil. I recommend this raw, organic shea butter. 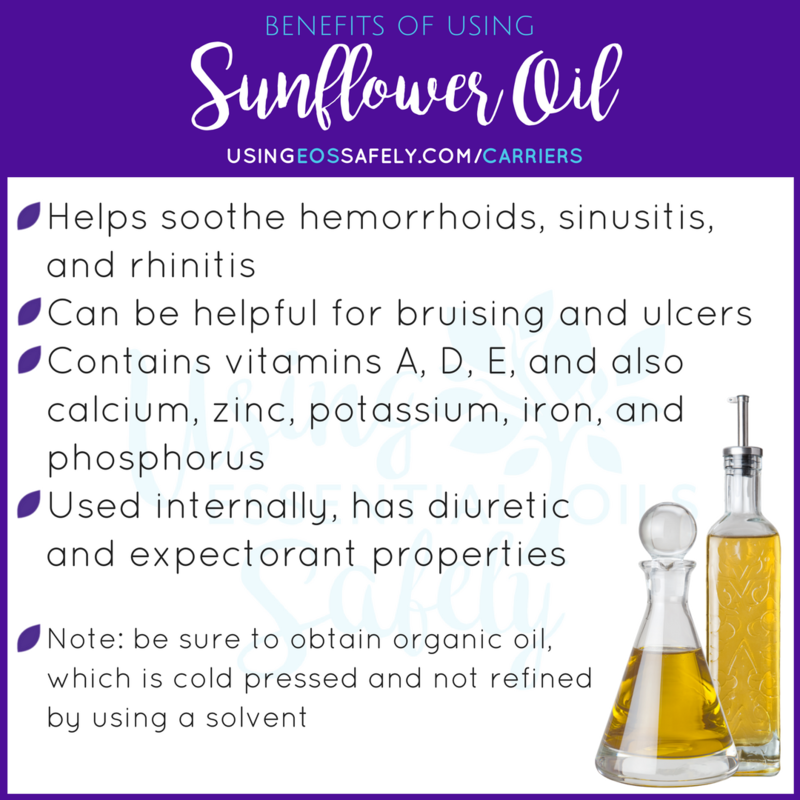 I recommend this cold pressed, food grade, organic sunflower oil. 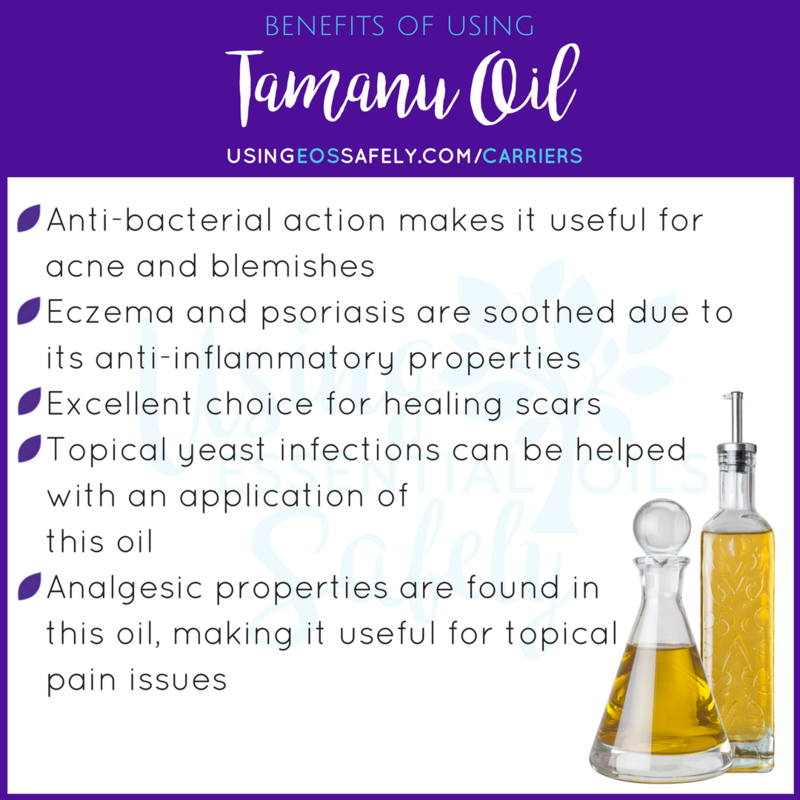 I recommend this organic tamanu oil. 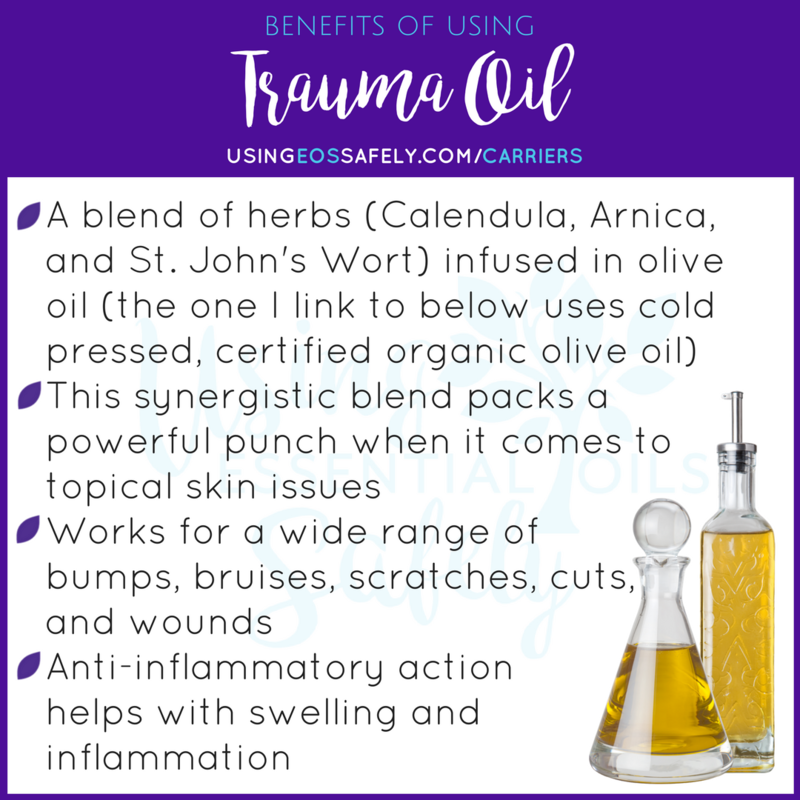 I recommend this trauma oil. 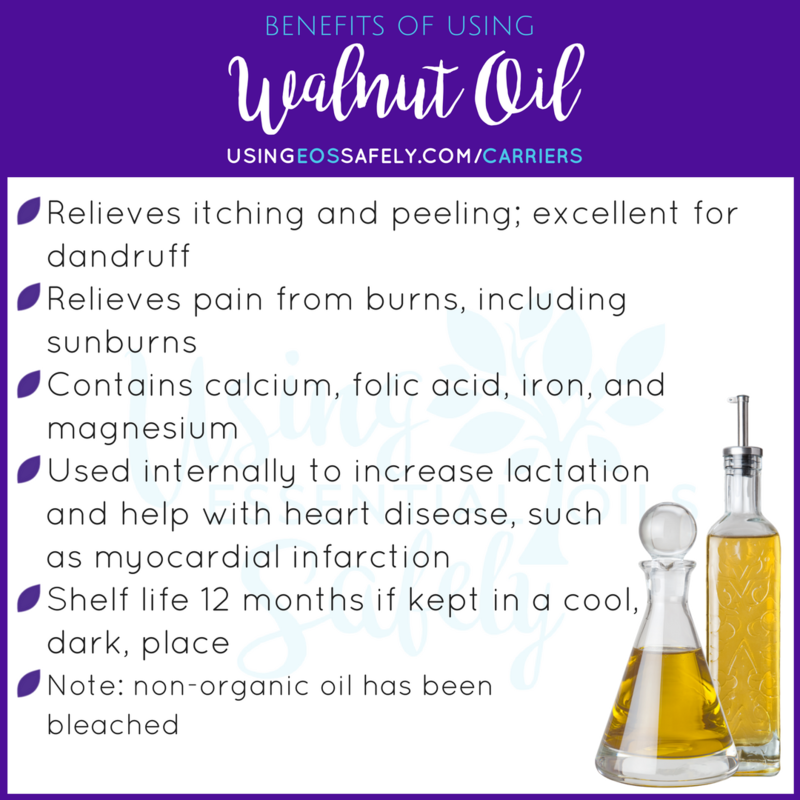 I recommend this cold pressed, unrefined, raw, non-gmo, extra virgin organic walnut oil. Softens skin and regenerates cells, making it a great choice for mature and aging skin. 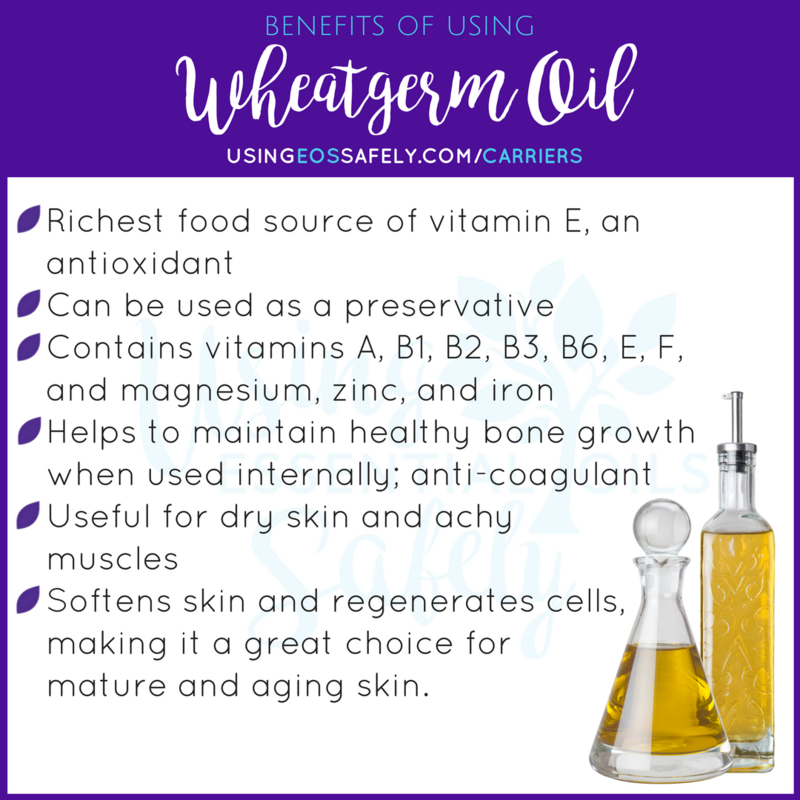 I recommend this organic wheatgerm oil. Do you have a question or comment? Leave a message here, post in the FB group, or e-mail me. 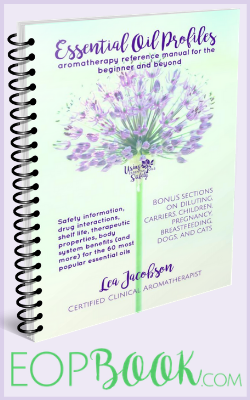 This information is included in my ebook, Essential Oil Profiles: Aromatherapy Reference Manual for the Beginner and Beyond.